Ebrahimi, B., Rahmani, M. (2017). An improved approach to find and rank BCC-efficient DMUs in data envelopment analysis (DEA). Journal of Industrial and Systems Engineering, 10(2), 25-34. Bohlool Ebrahimi; Morteza Rahmani. "An improved approach to find and rank BCC-efficient DMUs in data envelopment analysis (DEA)". Journal of Industrial and Systems Engineering, 10, 2, 2017, 25-34. Ebrahimi, B., Rahmani, M. (2017). 'An improved approach to find and rank BCC-efficient DMUs in data envelopment analysis (DEA)', Journal of Industrial and Systems Engineering, 10(2), pp. 25-34. Ebrahimi, B., Rahmani, M. An improved approach to find and rank BCC-efficient DMUs in data envelopment analysis (DEA). Journal of Industrial and Systems Engineering, 2017; 10(2): 25-34. Recently, a mixed integer data envelopment analysis (DEA) model has been proposed to find the most BCC-efficient (or the best) decision making unit (DMU) by Toloo (2012). This paper shows that the model may be infeasible in some cases, and when the model is feasible, it may fail to identify the most efficient DMU, correctly. We develop an improved model to find the most BCC-efficient DMU that removes the mentioned drawbacks. Also, an algorithm is proposed to find and rank other most BCC-efficient DMUs, when there exist more than one BCC-efficient DMUs. The capability and usefulness of the proposed model are indicated, using a real data set of nineteen facility layout designs (FLDs) and twelve flexible manufacturing systems (FMSs). Allen, R., Athanassopoulos, A., Dyson, R.G., Thanassoulis, E. (1997). Weights restrictions and value judgments in data envelopment analysis: evolution, development and future directions. Annals of Operations Research, 13–34. Amin, G.R. (2009). Comments on finding the most efficient DMUs in DEA: An improved integrated model. Computers & Industrial Engineering, 56, 1701–1702. Amin, G.R., Toloo, M. (2007). Finding the most efficient DMUs in DEA: An improved integrated model. Computers & Industrial Engineering, 52 (2), 71–77. Andersen, P., Petersen, N.C. (1993). A procedure for ranking efficient units in data envelopment analysis. Management Science, 39, 1261–1294. Banker, R.D., Charnes, A., Cooper, W.W. (1984). Some models for estimating technical and scale efficiencies in data envelopment analysis. Management Science, 30, 1078–1092. Charnes, A., Cooper, W.W., Rhodes, E. (1978). Measuring the efficiency of decision making units. European Journal of Operational Research, 2, 429–44. Ertay, T., Ruan, D., Tuzkaya, U.R. (2006). Integrating data envelopment analysis and analytic hierarchy for the facility layout design in manufacturing systems. Information science, 176, 237–262. Foroughi, A.A. (2013). A revised and generalized model with improved discrimination for finding most efficient DMUs in DEA. Applied Mathematical Modelling, 37, 4067–4074. Foroughi, A.A. (2011). A new mixed integer linear model for selecting the best decision making units in data envelopment analysis. Computers & Industrial Engineering,60, 550–554. Karsak, E.E., Ahiska, S.S. (2005). Practical common weight multi-criteria decision-making approach with an improved discriminating power for technology selection. International Journal of Production Research, 43 (8), 1537–1554. Liu, F.F., Peng, H.H. (2008). Ranking of units on the DEA frontier with common weights. Computers & Operations Research, 35, 1624 – 1637. Lotfi, F.H., Jahanshahloo, G.R., Khodabakhshi, M., Rostamy-Malkhalifeh, M., Moghaddas, Z., Vaez-Ghasemi, M. (2013). A review of ranking models in data envelopment analysis. Journal of Applied Mathematics, Article ID 492421, 20 pages. Sexton, T.R., Silkman, R.H., Hogan, A.J. (1986). Data envelopment analysis: critique and extensions, in: R.H. Silkman (Ed. ), Measuring Efficiency: An Assessment of Data Envelopment Analysis, Jossey-Bass, San Francisco, CA, 73–105. Toloo, M. (2012). On finding the most BCC-efficient DMU: A new integrated MIP–DEA model. Applied Mathematical Modelling, 36, 5515–5520. Toloo, M., Nalchigar, S. (2009). A new integrated DEA model for finding most BCC-efficient DMU. Applied Mathematical Modelling, 33, 597–604. Toloo, M. (2014a). An epsilon-free approach for finding the most efficient unit in DEA. Applied Mathematical Modelling, 38, 3182–3192. Toloo, M. (2014b). The role of non-Archimedean epsilon in finding the most efficient unit: With an application of professional tennis players. Applied Mathematical Modelling, 38, 5334–5346. Toloo, M. (2014c). The most efficient unit without explicit inputs: An extended MILP-DEA model. Measurement, 46, 3628–3634. Toloo, M., Ertayb, T. (2014). The most cost efficient automotive vendor with price uncertainty: A new DEA approach. Measurement, 52, 135–144. Toloo, M. (2015). Alternative minimax model for finding the most efficient unit in data envelopment analysis. Computers & Industrial Engineering, 81, 186–194. Wang, Y.M., Jiang, P. (2012). Alternative mixed integer linear programming models for identifying the most efficient decision making unit in data envelopment analysis. 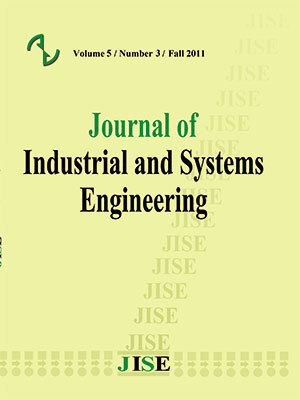 Computers & Industrial Engineering, 62, 546–553.